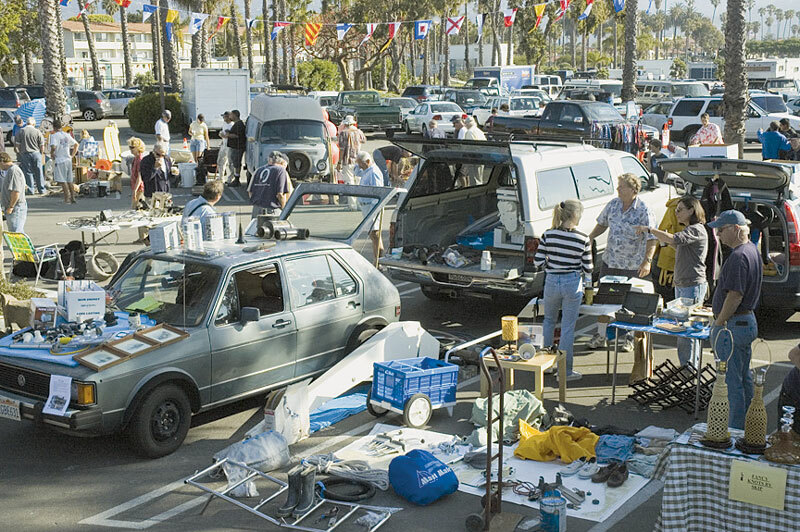 SANTA BARBARA – For the sixth year in a row, Santa Barbara’s main harbor parking lot will be filled with all things nautical, as dozens of swap meet vendors will offer items for sale, May 12. The Santa Barbara Nautical Swap Meet, scheduled to run from 8 a.m. to noon, is expected to have 30 to 40 vendors at the harbor selling items including fishing tackle, surfboards, kayaks, inflatable boats, motors, rigging, mooring equipment, anchors, fittings, marine antiques, clocks and more. “It’s a great event, and it really is worth making the trek, for out-of-town boaters,” said Santa Barbara Harbor operations manager Mick Kronman. Kronman said vendors looking to purchase space should be pleased with the $10 vendor space fee. Spaces are limited, and are reserved on a first-come, first-served basis. Free refreshments — including doughnuts, fruit and coffee — will be on hand for both vendors and the public, provided by the Santa Barbara Harbor Merchants Association. Admission is free. For those interested in reserving vendor space, registration must be made in person no later than May 10 at the harbormaster’s office, at 132-A Harbor Way, Santa Barbara. For more information, visit santabarbaraca.gov or call Brian Slagle at (805) 897-1962.